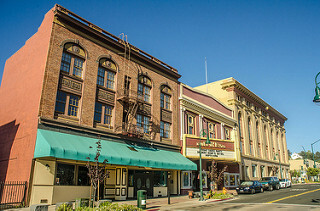 Virginia Street in downtown Vallejo. 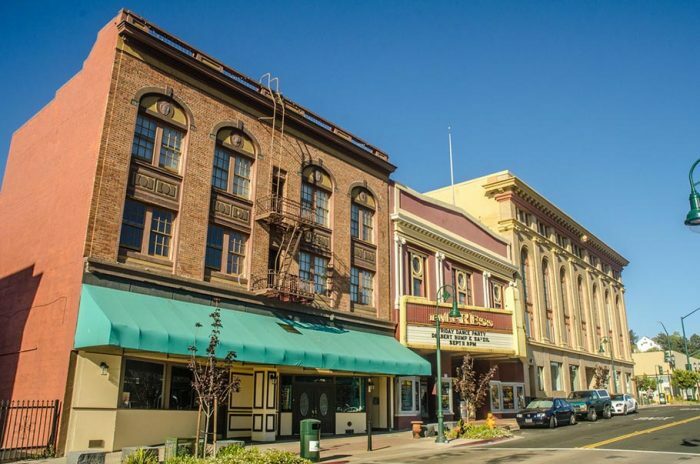 Demand for Northern California real estate remains as intense as ever, with relatively affordable Bay Area bedroom communities commanding the most interest in the country in May. Realtor.com ranks the Vallejo-Fairfield metropolitan area as the nation’s hottest housing market in May based on a combination of the most listing views on its website and the quickest paces of sales. The Solano County suburbs edged out the San Francisco-Oakland-Hayward metro area, which fell to the No. 2 position on the list after six consecutive months in the top spot. With a median list price of $425,000, homes in Vallejo cost less than half of what they do in San Francisco, where properties listed for a median price of $880,000 in May. Buyers snapped up homes in San Francisco in an average of 24 days, the fastest rate of sales in the country, compared with 30 days in Vallejo. Santa Rosa retained the No. 4 spot on Realtor.com’s list, with a median-priced $678,500 home selling in an average of 34 days. San Jose dropped to No. 9 and remained the most expensive of the 20 cities included in the study, with median-priced homes listing for $980,000 and finding a buyer in 25 days. As in the previous month, half of May’s hottest U.S. real estate markets were located in California, including Stockton (No. 5), Sacramento (No. 7), San Diego (No. 8), Santa Cruz (No. 15), Eureka (No. 16), and Modesto (No. 18). With a median list price of $325,000, Modesto is the Golden State’s least expensive hot market in which to purchase property, but costs there are still $75,000 higher than they are nationwide. The current $250,000 U.S. median home price is the highest since Realtor.com began tracking statistics in 2013. Realtor.com Chief Economist Jonathan Smoke attributed the price growth to bottled-up demand and mortgage rates that are near their yearly lows. According to Freddie Mac, 30-year, fixed-rate mortgages averaged 3.64 percent for the week ended May 26, up slightly from the previous week and lower than they were one year ago. A lack of homes for sale — a particular issue here in the Bay Area — is also fueling national home price growth. Realtor.com says that while inventory tightened by 4 percent from May 2015, the number of property searches on its website surged by 30 percent.